Argh! I just got to the point where the campaign is gated. Guess I'm going to spending the rest of my 10 hours on multiplayer. Yeah I have strike missions where I could go into multiplayer but I don't want to run out of time for the campaign but yeah I bet you can do both right lol. Cheapest (free) way to get Access to access? Another thing to get used to, Holding Y while in the Nomad will do an extraction lol, well whoops I thought it was to exit the vehicle. None. Go spend $4.99 on a month sub to EA Access. I finally got to play this tonight and I love it! I only played 2 hours of the multiplayer, didn't touch the campaign and I doubt I will until Tuesday. The MP is so perfect!!! It's the right blend of familiar from ME3 and new with the controls. I love the jet pack, that works seamlessly. The music at the menu/start screen is great, too. For all the talk of this game in the past few months, there has been very little about the music and that is one of the key ingredients to a ME title, I think. I hope the overall soundtrack and score are good. Do we even know who the composer is? Yeah it's just $5 and you can experience some other great games in the vault. Companion app coming where you can manage your multiplayer info & stats, including strike teams. About six hours, but that was including doing Habitat 7 twice because I wanted to remake my character. I also took things pretty slowly and talked to just about everyone. My steelbooks shipped from Best Buy. Just waiting on the Deluxe. Hopefully I get that early. Did some more snow removal today, now the UPS guy can turn around in our driveway lol. So much snow! Edited by Spybreak9, 17 March 2017 - 04:27 PM. Apparently BB decided to make a joke and ship my two Nomads first before the games. EDIT: Now my two SBs are being shipped out, by themselves. Oh lovely. Time to pray for no damage. I'm cancelling mine. I was a big fan of the series(I have the big limited edition Normandy statue, once owned nearly every ME2 lithograph), but that video of the NPC shooting their gun backwards, along with the news there is no real timeframe for fixes, did me in. Yeah it's ridiculous that a few bad apples spoil the bunch. People are blowing the facial animations running animations out of proportion. I get it, it's the internet but other than a dumbfounded look on my character that's all I've seen that fealt "off". Well it said I had about 6 hours left when I started the trial today and prob 30 - 45 mins in I came up to the gate's finish. So I started playing multiplayer and trying to do strike team missions. Man am I rusty and it only took me 1 match to realize I need supplies and that those exist lol. Nice to have loyalty packs up for grabs if you, I've assumed, linked your origins account with said game, Inquisition & ME3 in this case. I see a bunch of stuff in the multiplayer, this'll keep me entertained for days, as did ME3's. The multiplayer is enough for me haha I was so engrossed in ME3's multiplayer that I decided that my 10 would just be dedicated to the multiplayer this week and I am almost out of time now! Lots of fun and cannot wait for the actual release! I got up to the last part in the campaign for this trial as well, still got a couple hours left to dump into the MP. That is what I have been worrying about... I wish they would just have a small countdown starting with your 10 hours. Clearly they are tracking the time, would it be that to have that timer visible to us as we play?? Ahh man Ryu, living the high life and then sorry guys I'm poor again. User signed off. Also now that I got to the end of the campaign trial I'm listening/watching/reading to a lot of critics talking about their run with the beginning of the game and it sounds to me that everyone wants The Witcher 3 in space?! I don't, I want Mass Effect, (and I love The Witcher 3 as well). 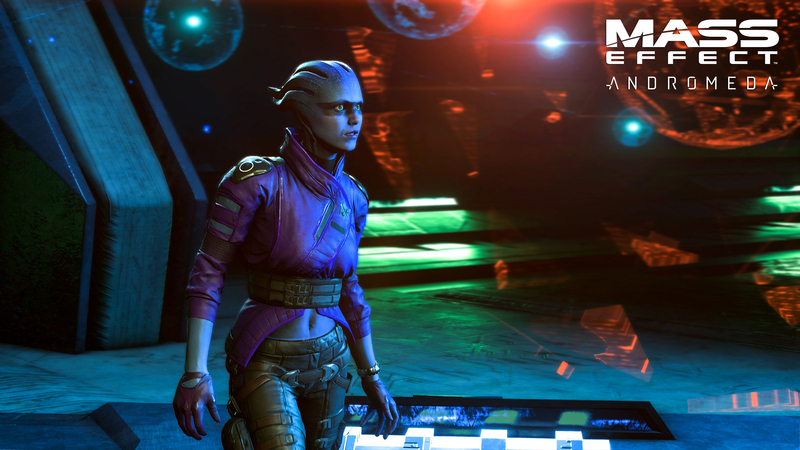 Mako, scanning, crafting, exploring, reading a bunch of lore are all things I like because other than the awesome combat and meaty dialogue, that's what Mass Effect is to me. Shrugs, I had a wonderful time with the trial, looking eagerly towards when the full game gets shipped to my house. Come on Amazon don't let me down, you said release day shipping. Is it Tuesday yet? No? After seeing days of people screaming "Broken game!" over the facial animations, I think the cooler heads on the internet are starting to prevail (I know..."cooler heads" and "internet" don't really go together). This morning I read a couple good summations of the situation that put things in perspective. Talking to people who have actually played the trial over the past few days has me very excited. The game sounds like the Mass Effect I know and love. However, I had so much fun with the MP last time around, I'm worried that if I step into it too soon I will get distracted and forget to play the SP campaign. The Pathfinder weapons look great. So I played a ton of ME3 multiplayer but largely going in solo so I never really realized the one huge downside that apparently is here too.... You can't party up?!?! There is no way for you and a buddy to group up and then go look for a quick match together. WTF?? You either have to make a private game and then open it up to the public and wait for people to join or you quick match and hope there is an open slot that stays while you invite your friend. How the eff is this feature missing... it is online gaming 101. Bah. You can fix the facial / motion animations much easier than broken plot, right? Also, Target better put up that damned exclusive ME: A Funco already, I refuse to buy it from eBay at 2-3x the price on principle. In case anyone wanted the Target ME: A Funco, they are street-dated for Tuesday and my local store has 8 of them. They're limiting to 1 per person, so hopefully if you get there around opening, you should be able to get one. The non-specific ones showed up today from Amazon, including the 6" Archon one that was mis-priced @ Amazon. Just need the Target one to complete the set. and visited/scanned/probed all planets and anomalies to get to 100% in that system and then went back to the Nexus to finish up on some side quests - I want to say there's a lot of ME1 influence here, they've gone back to ME's roots. I've always wanted to have a first person perspective when the ship moves around or seeing the ship entering a new planet's atmosphere. Extensive loading screens of the last gen are gone, (one of the biggest perks of owning a Xbox One today) and replaced we have this uninterrupted first hand experience flying from one planet to another (super cool!). There's this little part in the back of my brain saying oh oh, oh man wouldn't this be cool in VR some day (I don't think I'd be able to stand it as as of now the camera moves a bit too fast for that, but you know that's just crazy to think about)! 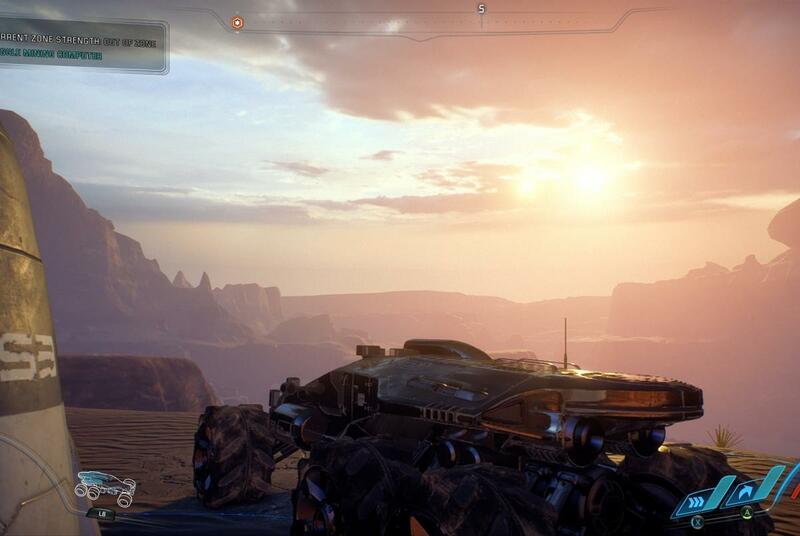 Wow, I'm just in love with this game already; I think if you're a Mass Effect fan you're gonna love it. 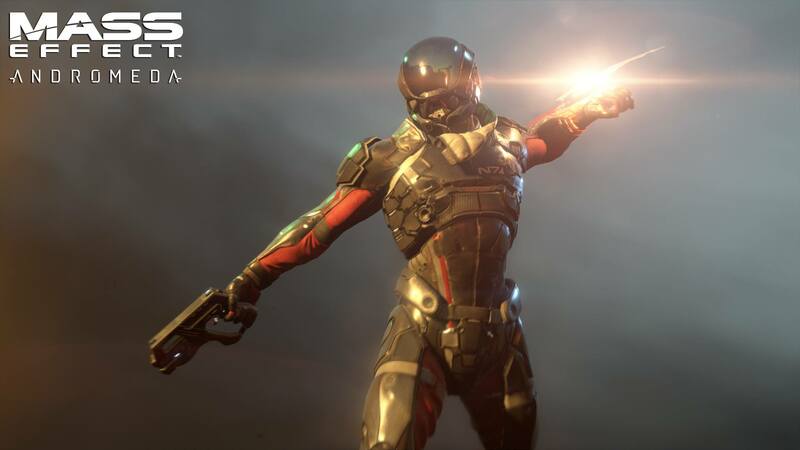 Can't wait to discover more of Andromeda, which I think is gonna feel pretty vast.